Good Morning Twitterheads :) (For emoji members ----> ). 23 Oct 11 copy & paste +upvote -downvote Good Morning Twitterheads :) (For emoji members ----&gt; ). @kimpermendoza Huwaaaw Emoji it is! Gamit mu ba iphone 3g? Talk to me in emoji? 23 Oct 11 copy & paste +upvote -downvote @KindofABigDeal_ ..! 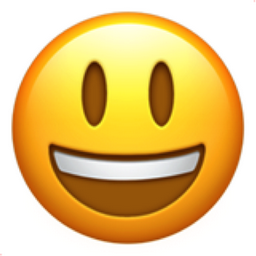 Like Smiling Face with Open Mouth Chronological Emojitweets 31?